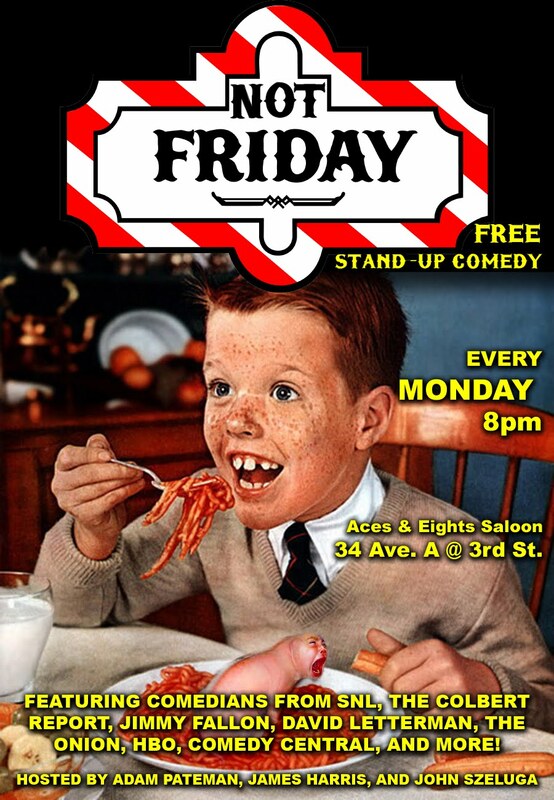 Free stand-up comedy every Monday night at Aces and Eights, 34 Avenue A and 3rd Street. This week's guests include Ted Alexandro (Comedy Central , Letterman, Conan), Nick Cobb (Comedy Central, Last Comic Standing), Sue Galloway (30 Rock), Eric Legend (Late Night with Jimmy Fallon), and Sara Schaefer (Late Night with Jimmy Fallon). As always, I will be performing along with co-producers James Harris and Adam Pateman. 2-for-1 drink specials. 21 & up to enter. 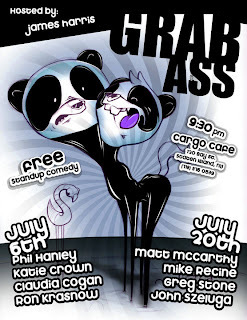 Come down to the Cargo Cafe, 120 Bay Street, Staten Island, NY for another incredible night of comedy. 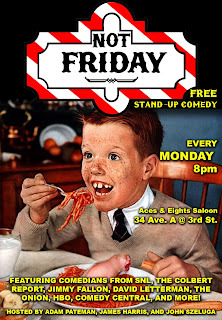 This show is hosted by James Harris, and features myself, Matt McCarthy (Comedy Central , John Oliver's New York Stand-Up Show , Verizon's cable guy), Greg Stone (Bamboozled Festival), and Mike Recine (Make it Funny, Clown!). Free admission, plus $6 gets you 2 sliders, fries, and a PBR. Just a short walk from the Staten Island Ferry. Wednesday, July 21st at 9 PM - HAPPY BIRTHDAY COMEDY!!! Staten Island's newest comedy show at The Roost's new location, 1255 Castleton Avenue, Staten Island, NY. This show is hosted and produced by Danny Benovenli, Matt Ciuffini, and Manny Rondon, and features myself, James Harris (Kong Magazine), Adam Pateman (Comedy Now), and Mark Normand (Last Comic Standing). Free admission, full bar, and 21 & up to enter. *Summer hugs may be denied based on levels of perspiration.